“It is a fantastic place to work, with fabulous people, encouraged work life balance and lots of opportunities to learn and grow”. After working in Wellington, Anna joined the team at RIVAL Wealth in May 2014. Anna has always enjoyed working in investments, gaining many years of financial experience working for the Investment Team at Trustees Executors Ltd for 7 years. Anna and her husband made the move to the Wairarapa for a change in lifestyle as they love spending time outside of work enjoying the weather, outdoor activities and the fantastic Martinborough community. Now they have 2 young children, they just love having the ideal work/life balance. Anna’s key role is to look after our portfolio management clients, managing their investment administration. 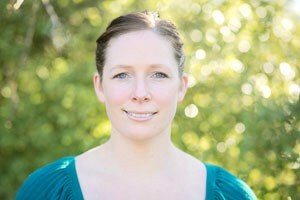 She also does research and manages our overall business workflow processes.